Setting up a computer for a child’s use? You have a lot to consider. From inappropriate content on the internet and even on your desktop to screen usage limits, it’s important to make sure your kids have a safe environment on their computer. We’ll show you how to find and set up Windows 10’s parental controls. We’ll also share some tips for making your PC as child-friendly as possible using third-party parental controls for Windows 10. Of course, nothing can replace parental guidance, but these will make your job a lot easier. If you only use one Windows 10 parental control, you should make it this one. Child accounts Check Out The New Windows 10 Parental Control Options Check Out The New Windows 10 Parental Control Options Windows 10 parental control reports offer details of your child's online behaviour and activity. Some parents are horrified, whilst others welcome it. Let's look at how to use these settings to secure your computer. Read More allow you to set restrictions on computer usage as well as monitoring their use, and they’ve seen a great boost in utility since Windows 7. We’ve covered how to use child accounts in our guide to locking down Windows user accounts How to Lock Down Windows User Accounts How to Lock Down Windows User Accounts Letting people use your computer while you're gone could lead to problems. We show you how to restrict Windows features on standard or child accounts so others can't access sensitive info. Read More , so we’ll offer an overview here. You must sign in to Windows 10 with a Microsoft account The Pros and Cons of Using a Microsoft Account with Windows The Pros and Cons of Using a Microsoft Account with Windows A single Microsoft Account allows you to log into a wide range of Microsoft services and apps. We show you the pros and cons of using a Microsoft Account with Windows. Read More (not a local account) and navigate to Settings > Accounts > Family & other people. Select Add a family member, then proceed through the steps to create a Child account. You’ll need to add your child’s email address or create a new one for them to sign in. Additionally, if you live in the U.S. you’ll need to authorize a small charge on your credit card to comply with government regulations. Once they’re set up, you’ll see an entry for their email on the Family & other people page. Click Manage family settings online below that section or just visit the Windows 10 family settings website directly to manage your children’s accounts. Click their email address and you can manage various categories of their computer usage. On the Activity page, you can see what they’ve searched for, websites they’ve visited, and apps they’ve opened. Select Screen time to set a Windows 10 time limit; you can choose specific hours when your child can use the computer The Best Tools for Limiting Your Kids Online Screen Time The Best Tools for Limiting Your Kids Online Screen Time The time kids spend online is just as important as what they see. These are the best tools for limiting your child’s screen time on the internet and their mobile device. 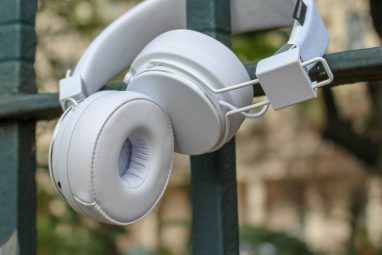 Read More and set a maximum number of usage hours. Choose the Content restrictions tab to only allow apps and games that are appropriate for a certain age level. You can select any age from 3 to 20 or disable this feature. For instance, if you select 12-year olds, your child will only be able to watch PG-rated movies, games rated E10+, and so on. Of course, this only applies to content in the Microsoft Store. This wouldn’t stop your child from opening iTunes and watching a movie or buying an inappropriate game on Steam Everything Parents Should Know About Video Games Everything Parents Should Know About Video Games If your children play video games and you don't understand much about them, we're here to help. Here's what you should know to make sure your kids have the best experience. Read More (assuming they had gift cards to do so). Under Web browsing, you can enable a slider to Block inappropriate websites. Microsoft doesn’t explain exactly what websites this blocks, but the important thing to note is that it only works with Microsoft Edge and Internet Explorer. You can also block individual websites; you might want to block YouTube, for example, or reddit. Enabling this setting also blocks the account from opening common alternate browsers like Chrome, Firefox, and Opera. If your child is tech-savvy, they could simply install any number of alternate browsers to work around this 7 Ways Your Children Might Bypass Parental Control Software 7 Ways Your Children Might Bypass Parental Control Software Just because you've installed a safety net in parental control software doesn't mean your children won't find a way to navigate through it. Here's how they'll do it! Read More , requiring you to manually block them all in the Always blocked apps section above. Do your kids know their way around Windows settings better than you do? When you’re done, you may want to disable access to the Settings app and Control Panel How to Disable Access to the Settings App and Control Panel in Windows 10 How to Disable Access to the Settings App and Control Panel in Windows 10 Let's see how you can disable access to both the Settings app and the Control Panel in Windows 10. Read More entirely. 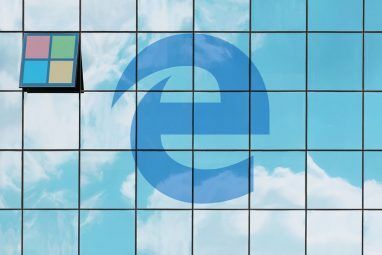 Windows 10’s parental controls are great for a first line of defense, but they don’t do much if your child opens a browser other than Edge or Internet Explorer. For that, we recommend enabling DNS filtering 5 Nifty Ways to Use DNS to Your Advantage 5 Nifty Ways to Use DNS to Your Advantage One of the most underappreciated parts of the internet is the Domain Name System. DNS is often referred to as the phonebook of the internet, but it is far more than just a lookup service. Read More on your entire home network to block thousands of inappropriate sites. This will ensure that your children can’t access explicit sites, no matter how they get online. One of the best DNS servers 5 DNS Servers Guaranteed to Improve Your Online Safety 5 DNS Servers Guaranteed to Improve Your Online Safety Changing your DNS provider can dramatically improve your computer's defenses against online threats -- but which should you choose? We show you five DNS providers you can switch to today. Read More , OpenDNS, offers the pre-configured Family Shield for easy filtering, or you can use the Home package to select exactly what sites you want to block. It only takes a few minutes to enable it on your router, so there’s no reason not to give it a try! Not all of making a computer child-friendly is about internet safety. It’s also important to make sure that your child’s account doesn’t have permission to make major changes to your computer. This includes installing potentially dangerous software. You can perform two quick checks to make sure that your child’s account can’t do much damage. First, head back to Settings > Home > Family & other people and click your child’s account name. Choose Change account type, and make sure it’s set as Standard User, not Administrator. Second, you should make sure you have User Account Control (UAC) enabled. This security feature prompts standard accounts for an administrator password when they try to make changes to the computer. Type UAC into the Start Menu and select Change User Account Control settings. The default level, second from the top, is the best mix of security and convenience. You may want to turn it all the way up to prevent children from making most changes, but this can quickly get annoying for you. The above tools let you control what apps your kids use, when they can use the computer, where they can go online, and what they can do with their accounts. 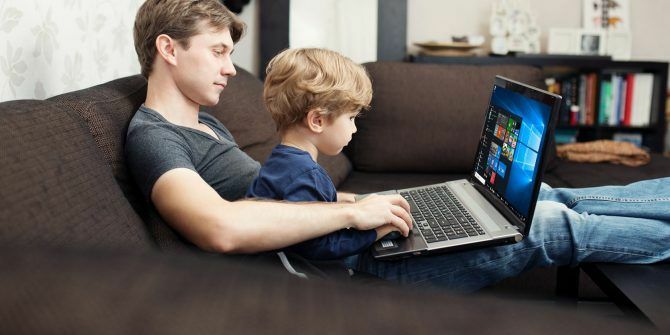 You can supplement them with additional parental control apps The 6 Best Parental Control Apps for Windows The 6 Best Parental Control Apps for Windows Are you doing enough to protect your kids online? Parents have a wide choice of parental control apps to choose from. We'll show you the best tools for Windows. Read More , if you like, but those cover the essentials. But it’s worth a reminder that a few non-technical limitations can go a long way in making your Windows 10 PC a safe place for your kids to have fun and learn. For instance, you might want to keep their computer in a shared room so that they aren’t going online without anybody around. That way, you can catch potential problems sooner. Additionally, it’s smart to set some basic rules with your kids about what you expect from their computer usage. Perhaps you’d like them to check with you before they download anything. Or you might consider not giving them an email address to prevent them from signing up for various websites. Coming up with these guidelines beforehand can prevent some issues in the future. Plus, if you set clear rules, you can discipline your children if they violate them. That’s a lot better than spying on them without their knowledge. What Other Safety Features Do You Use? We’ve covered the most important tools for protecting your children on a Windows 10 PC. You might wish to include additional software for your children’s individual needs, but implementing these baseline changes will go a long way. Check our complete guide to parental controls The Complete Guide to Parental Controls The Complete Guide to Parental Controls The world of internet-connected devices can be terrifying for parents. If you have young children, we've got you covered. Here's everything you need to know about setting up and using parental controls. Read More for further resources. Really, adding internet/content safety and computer safety 7 Family Safety Tools To Keep Your Kids Safe Online 7 Family Safety Tools To Keep Your Kids Safe Online Like the real world, the internet can sometimes be a scary place for your kids. There are some great apps and tools to keep them safe; here are some we think are the best. Read More are about all the changes you need to make a computer friendly for kids. Young children growing up in the digital age don’t typically need accessibility features A Brief Guide to Windows 10 Accessibility Tools A Brief Guide to Windows 10 Accessibility Tools Whether you struggle with poor vision or want to explore speech control, Windows 10 offers plenty of accessibility tools to help you out. We show you where to find and how to use them. Read More , like large text, to make a computer easier to use. Computer interfaces are already second nature to them. So you shouldn’t need to enable any of those unless your child needs them for a specific reason. In fact, they’ll probably figure out how to use Windows better than you before long! What features do you use to make your PC safe for kids? Have you ever had an incident where a child got into trouble on your computer? Tell us in the comments! Explore more about: DNS, Microsoft Account, Parental Control, Parenting and Technology, User Account Control, Windows 10. I'm actually pretty frustrated with Windows 10 controls... I should be able to reset his password and I can't with his Outlook account even though it's linked to mine. I want him to learn and explore, which includes installing software, but I should be able to stop him from deleting system components (which he's done). My other son used a Mac at this age and I was able to give him "superuser" access which allowed him to add apps but not cripple the OS; I had the "admin" account and could fix anything he did. Windows is all-or-nothing, which is pathetic because I know the "policy-based" limits could do much more. I'm looking for auxiliary software now for my younger son's next computer. Love the Opt-Out email activity Update the Microsoft has employed?! The internet is a literal minefield for children. Sucking up time, ambition, hope, motivation, seLove the Opt-Out email activity Update the Microsoft has employed?! Basically all that social media and all advertising, and most of the internet does is to drive an invisible wedge to position children to disregard their parents in relevance and ideals etc. Technology makes this worse bc children will be very adept growing up with it and whitnessing their parents' relative newbness their extrapolate that they cannot be relied upon to understand other new things like all the social justice warrior issues and everything else. The world is moving so fast that any young person has a notion that the internet is the only place to provide up to date information and "Parents Just Don't Understand". Please, this is a literal war for the conscience of your child. Protect them until you can teach them discernment and instill in them a locust of control that hopefully allows them not so place their identity in instagram likes etc etc. Use Fake News, the Bucket Challenge, TidePod Challenge etc to DISCREDIT all that they see out there so they will learn to be Burean and skeptical.lf image... etc. Use Fake News, the Bucket Challenge, TidePod Challenge etc to DISCREDIT all that they see out there so they will learn to be Burean and skeptical. The best overall parental control tool is pictured in the title picture - a dad sitting with his son. Using technology to babysit your kids is abrogating your parental responsibilities.